BEN GORHAM, FOUNDER OF BYREDO EXPLAINS THE PROCESS BEHIND HIS DEVELOPING COMPANY AND WHY HE WILL NEVER STOP BRINGING HIS DREAMS TO LIFE. In a world that’s so saturated with mass market perfumes and accessories from huge powerhouse brands, Byredo is doing something quite unique. With no experience in the fragrance world, Ben Gorham, who is of Indian and Canadian heritage, became fascinated by scent after a trip to his mother’s home country of India. After being inspired by a perfumer, Gorham decided to follow his dream of creating his own brand, and subsequently Byredo was born. Byredo has developed a cult following for its unique, high quality fragrance all around the world. The minimalist concept is loved by those looking for a no-fuss, quality product. 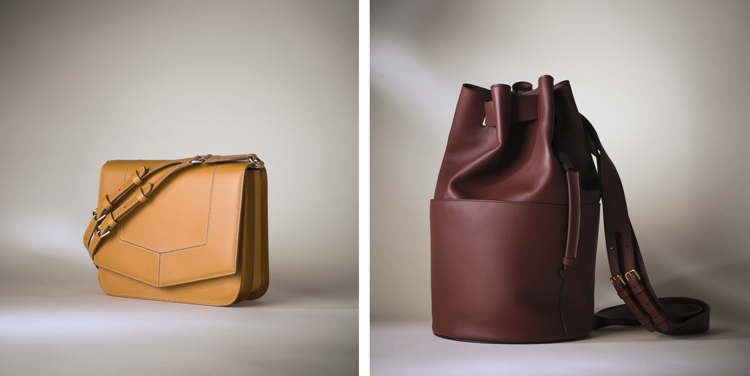 Once he had mastered the fragrance industry, Ben moved into the foray of leather goods, designing clean luxurious bags that embodied the brand’s same aesthetic. 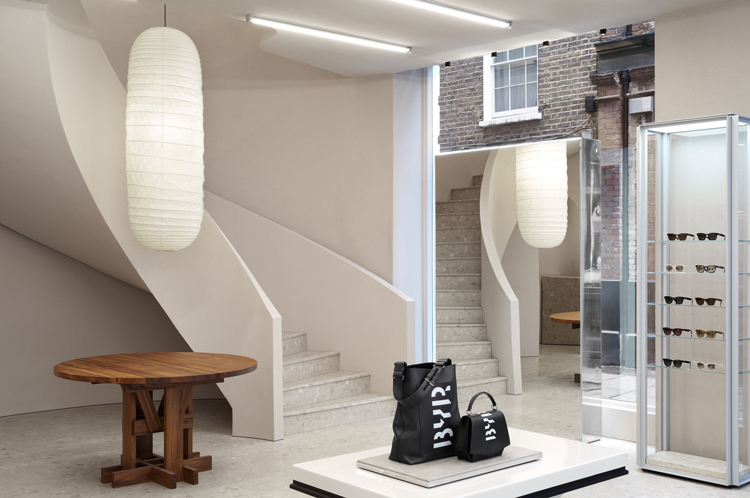 Today Byredo has stores in Europe, The UK and The United States. Earlier this year Gorham travelled to Dubai to present Byredo’s first pop-up store in the Middle East. With this the brand brought their leather goods to the region for the first time ever, allowing customers to experience the full world of Byredo. 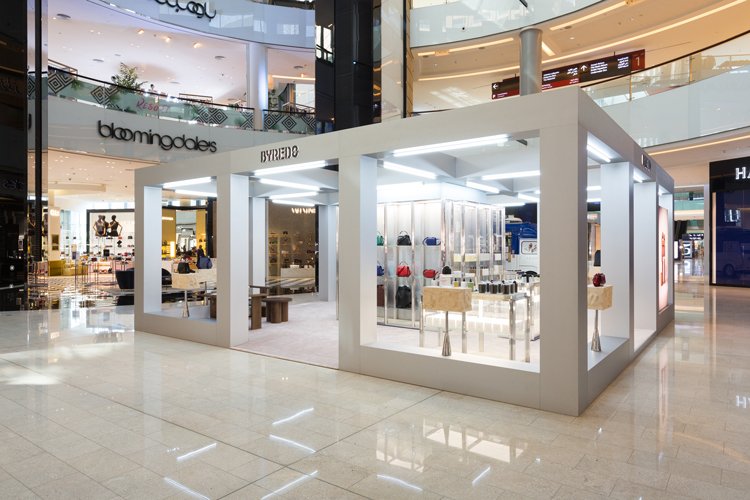 What can you tell us about the Dubai pop-up boutique? It’s basically a scaled down version of what we are doing in retail, which is something that has become quite relevant for us. Essentially it is the entire Byredo universe in one place. So we have multiple categories. We are known for our fragrance but we launched leather two years ago and we launched eyewear three years ago. When you work with department stores and wholesales these categories often get pushed into different departments, so this is a way to bring everything together and allows people to understand the connection between the categories. What about the design behind your retail stores? Essentially we are product people and that is how it has been from day one in both expression, execution, quality and emotion – always about the product. My idea for the backdrop in a retail environment is to bring the product into the forefront. So we do that with simplicity of the stores. There is also an element of my own personal taste in there. How would you define your brand in one sentence? People always tell me that we are a lifestyle brand. I thought about this and I came to the conclusion that we’re not a lifestyle brand because we don’t sell a lifestyle. We sell beautifully crafted objects and ideas for your life. So it’s inclusive, which is kind of the opposite to a lot of luxury brands today. And who would you say is your customer? From day one I would see an 18-year old girl, an 85-year old man and pretty much everything in between in our stores. I really believe our biggest accomplishment is the diverse customer that we attract. We truly have an inclusive nature in everything we do. Why is it important for you to be present in the Middle East at this time? We’ve always had a great following in the Middle East and Dubai has always been the centre of that. London is also one of our biggest markets and with the influx of Middle Eastern customers and visitors to our stores there, the connection was built quite early. So it’s nice to be able to do something now with all of our categories in one space in Dubai. It is a place I have been coming since I was six years old so I really saw the region develop and it feels natural to be here now. How are you embracing the digital era to support the brand but still keep its exclusivity? One important point is to pace yourself because the digital development in the world moved much faster than what most people were physically able to keep up with. It also means that brands need to evolve, because with digital channels the narrative needs to be different. I think we are in a really interesting time because everybody is scrambling to figure it out, and honestly more people are in my opinion, making mistakes because they are abandoning core values. I think for us, even though we’ve seen great growth, it’s been the same formula that we used to build the company over ten years – slow and meticulous. Now we are doing that in digital. Is it difficult to keep the right balance? I think so because there is a lot of opportunity right in front of you and you could really maximise it like a lot of people have done. For me it’s no different than if we look ten years back. You wouldn’t open every single store in the world at once, or you wouldn’t advertise on every billboard. And now all of a sudden people are doing that online and they think it’s OK! So I believe there will be a backlash and a correction and our approach is to stick to what we do and make sure that as the narrative evolves, the digital channel is included in that. The leather goods are here in the Middle East for the first time – what can you tell us about your transition into this sector? I think it’s always been a very emotional process for me. A lot of our customers embraced the bags which made me really happy, and a lot of people who weren’t already customers have now connected with us. We have a specific approach to making products and expressing ideas. Leather is a different medium to scent – the biggest difference is that it’s so visual and tangible, whereas perfume is essentially invisible. But the intimacy and the tactility that women have with handbags is actually quite similar to the intimacy of a perfume. We try to keep attention to detail and quality the same no matter what the category, and I felt with this we can have a unique perspective. We entered into this arena with big brands, making something of a certain quality and with a certain origin, and we have started to see a great success. Where does your production take place? All of the bags are made in Italy and the beauty products are made in France. There are other places in the world to make them, but in all honesty the Italians are still the best. Talk us through some of your favourite pieces. We have what we call the permanent collection. The Blueprint was the first bag I designed and the one that took the longest. I probably made 100 samples of this bag to get it to where it is today. It comes in a variety of leathers and colours. I felt that because it was a very simple bag it needed to have a very clear silhouette so that people saw the value and the uniqueness of the bag. It’s the idea of making a collection, just like the fragrance, that we would be able to sell for a hundred years. That may sound like a cliché but this is what we truly do, and I think that’s what sets us apart. What about the double buckle, what’s the story behind it? 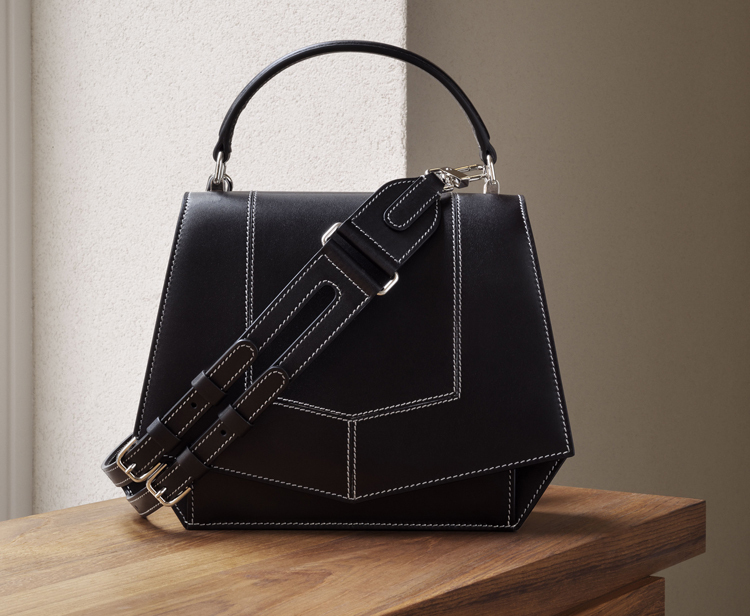 All of the bags carry a signature double buckle. Initially this was a ‘B’ but I had some quality issues with it so I decided to go to a more generic double buckle. It was the idea of women carrying bags across the body and I love the idea of a jewel across the chest as a signature. Moving back to fragrance, in a market that is so saturated with mass-produced products – how do you stay relevant? Simply I think it’s about focusing on the smells. Unique, beautiful perfumes. I honestly believe that’s the formula. That can be copied 100 times but I have a lot of faith in my customers and their perception of what’s real and what’s fake. I think the level of innovation and creative work will always win in the end. You started your brand with no formal training in fragrance – what challenges did you face? There were many challenges, mostly connected to learning how to make, produce and sell a perfume. What made you move into an industry that was so unknown to you? Initially I went to art school. When I graduated I met a perfumer. I was fascinated by smell. I realised that I had two choices – become an artist, or start a brand to develop my ideas. I think I just really enjoyed creating and growth. I love the idea of unlimited possibilities and I love competing with other brands, and I think all of those things combined with my creative drive meant that Byredo is something I can completely immerse myself in on a daily basis. It’s eleven years later and I work harder than ever and I’m more inspired than ever. I meet people to show them the products and wish that I could show them what’s next because it’s already done in my mind! What would you say is your passion – fragrance or leather goods? I don’t know! They’re not competitive in my mind, they’re really just two very different things. When I create these worlds, or creative projects, I still don’t even know if it’s going to be a bag collection or a fragrance collection or both. We launched a collaboration earlier this year called Elevator Music. It was a multi-facet project so we had this great space, and then there was fragrance and apparel, denim, bags and other different objects. It’s actually more about the head space that I’m in. What’s nice is that I had a very clear idea of silhouettes and iconic shapes that I like. I look at my wife a lot for the functional part. 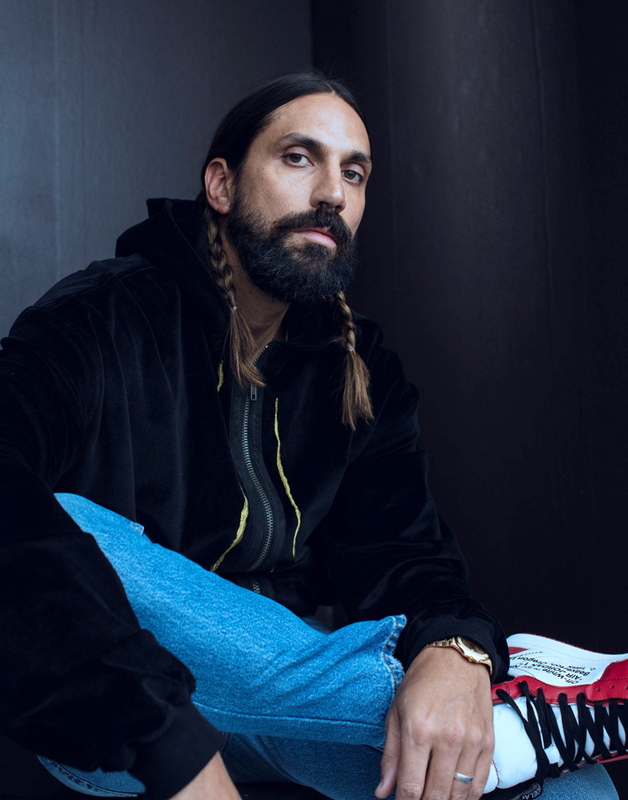 In the Byredo offices I have around 250 employees and 98 per cent are women, my board are half women, I grew up with my sister and my mother, and I have two daughters – so I am surrounded by muses. I think the inspiration for the bags, starts very much in understanding the function of how women wear bags. In terms of aesthetics, I have a very clear idea of what I find beautiful and most of it honestly relates to the women in my life. Where do you go when you want to switch off? The Maldives! It takes me a few days, but because of the environment it really forces you to come down a notch and relax. How would you sum up Byredo in one word? True. True to its origins, true to the quality, the creativeness and the ideas. What have you not done yet that you would like to do? That’s a whole other article! There is so much. What can we expect to see from Byredo in the next five years? The leather will continue to evolve. It’s a constant and I’m always working on new styles and functions. Fragrance will grow. There is a colour cosmetics project that I’m working on which I’m super excited about. There’s a new eyewear collection launching in the spring, which we’re making in Japan. It will be completely in titanium, which is a real luxury take on eyewear. I really enjoy exploring new sectors. While they are yet to open a store in the UAE, Byredo is stocked inside Bloomingdales Dubai.